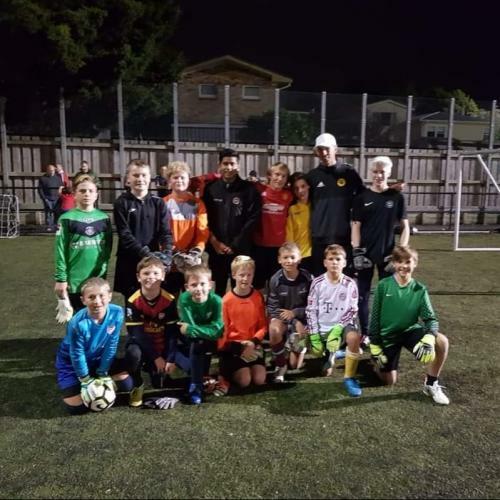 Ellerslie AFC have recently introduced the Ellerslie AFC Player Development Programme (PDP) to provide opportunities for players at the club to further develop their footballing ability. The programme is currently for selected girls and boys grades with the intention to expand further across the junior and youth grades. The programme is overseen by the club’s Director of Football, Fred de Jong, and the Junior Director of Football, Ryan Shiffman. The Ellerslie AFC PDP runs in 6-8 week blocks in each term and is there to augment the players’ other regular training schedule. Sessions are charged at $10.00 per session, per player with an administration fee charged only after the Early Bird discount closes. However the PDP is not solely about improving the football level of the players. The Club is pleased to offer a range of player development courses this year. All intending participants MUST register and pay for a course to reserve a place on it. In most cases places are limited so we recommend you register and pay early. For an existing player registered with the Club in 2019, use your normal login and once logged in select Tasks/Purchases and Bookings. A list of available courses will be available to purchase. Follow the on screen information to book and pay. Those not registered with the Club are welcome to attend some courses (eg School Holiday Courses). To register a non-player use this link . Scroll to the bottom of the first screen, select "Register For An Ellerslie AFC Course (Non Members Only)" and complete the details on the following screens. A list of available courses will be presented for purchase. Make sure to follow the on screen instructions to book and pay to reserve a place.